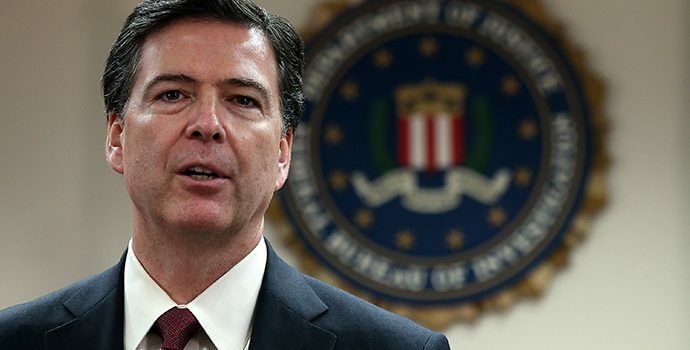 FBI Director James Comey now agrees with the CIA’s assessment that high-level Russian officials interfered with the 2016 presidential election in order to help Donald Trump. If you’re keeping score at home, all major U.S. intelligence agencies and both parties in Congress now believe this – and Trumpland is still denying it. It was originally reported that the FBI, while in agreement on the fact that Russia was behind the DNC hacks, wasn’t quite buying that Russia was interfering with the specific intent of helping Trump. But now officials say Director James Comey agrees – and always has agreed – with the CIA’s position. The FBI and CIA positions “were never all that different in the first place,” one official told the Washington Post. The agencies agree that Russia had more than one goal in interfering with the election, and they (now) agree that helping Donald Trump win was certainly one of those goals. Trump has consistently trashed U.S intelligence agencies over these findings. How is he doing today? Good stuff. It’s worth remembering that Donna Brazile was not the head of the DNC when she shared a debate question with Clinton’s camp, and that it wasn’t “illegal” to do so. With Comey – a longtime Clinton adversary and the head of an agency that tends to like Trump – joining the chorus of anti-Russia voices, Trump is running out of allies in his fight to ignore Russia’s election-year shenanigans.